Shoot undercover with total protection from any rain, in a building designed especially for the environment and customer's shooting experience. 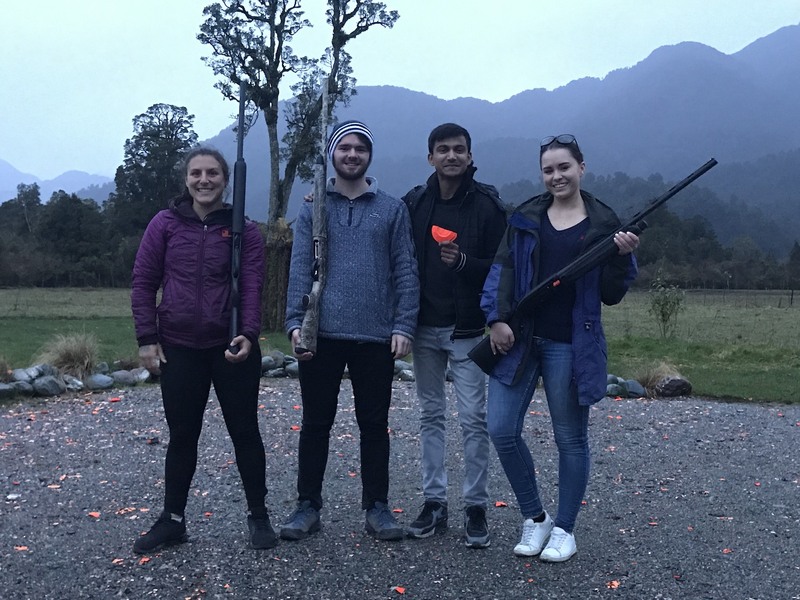 Franz Josef Clay Target Shooting offer one of only a few 'all-weather' activities in Franz Josef and it's action-packed. Allow two hours for this activity. Covered shoes must be worn. Bring a camera! More ammunition and targets can be purchased at the range if you want to shoot more, if time permits. It's addictive! 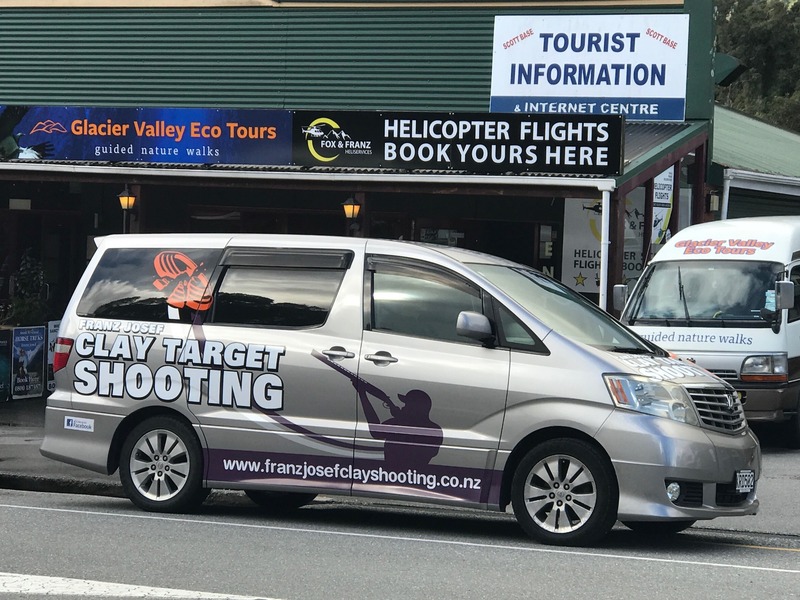 The packages include courtesy vehicle transport to and from the range from appointed meeting place, tuition if required, a few practice shots before the match, ammunition, firearm, clay targets and the appropriate safety gear. *includes some shooting from a NZ Duckshooters Mai-Mai if weather and time permits. 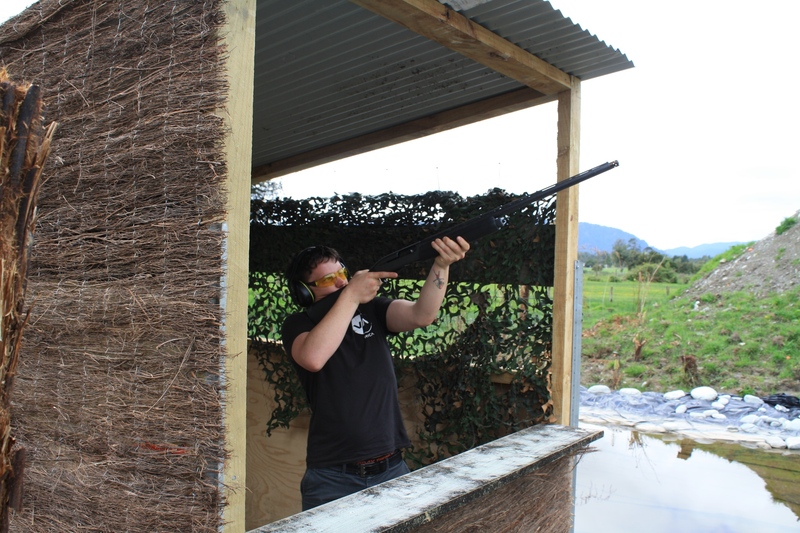 The range is located in the midst of a rustic NZ West Coast farm where you can see cows, sheep, horses and birds. Guests will glimpse spectacular views of Elie de Beaumont, one of the highest peaks in the surrounding area of the Southern Alps. Scenery like this will only be disturbed by the sound of the shotguns as guests shoot and blast clay targets to pieces!